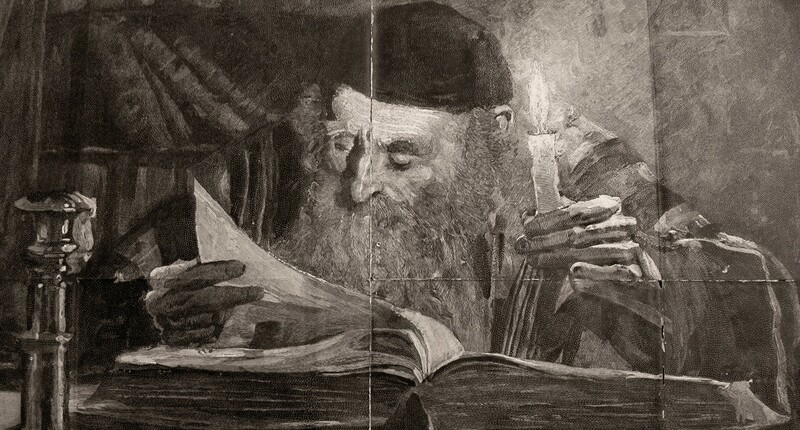 In the tractate of the Mishnah known as the “Ethics of the Fathers”, we are strongly advised “not to separate ourselves from the community” (Pirkei Avos 2:5). Anyone attempting to lead a Jewish solitary life has to come to terms with this directive, yet there have always been Jews who have felt inspired to make solitary lives of prayer and study their main spiritual discipline and a major part of their contribution to the life of the Community of Israel. The giving of the Torah at Sinai was a unique religious event in that it was not an individual but a communal revelation. All of Israel experienced this event and yet, in a sense, the Torah was received by each individual in their own heart—in a spiritual solitude which is deeper than any mere physical solitude ever could be. It is “solitude within a crowd” and it is reflected each and every day in the traditional Jewish liturgy. Each communal service has periods where congregation members recite the central prayer of eighteen blessings (the Shemoneh Esreh) silently. At this and at other times during communal worship, they pray in secluded privacy under their tallisim ( prayer shawls), often at their own pace while absorbed in a text on the pages of their own prayer-book. They are worshipping in community, yet praying alone in interior solitude. When Jews practice solitude as a spiritual discipline, they take the Community of Israel with them into their own personal “desert”—they have not withdrawn from Jewish or global society at all, but have chosen a particularly deep form of spiritual engagement with them. Their seclusion and solitude is not a form of self-regard or a method of character development because, above all else, they cleave to the Solitary One in order to become useful as conduits of His Light. Whether physically isolated or not, they have withdrawn into the cave of the heart—and from there they hope to draw down the compassion of the God of Israel on all creation. 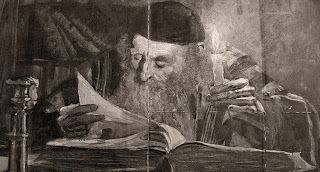 For those interested in a more advanced study and practice of “hitbodedut”, I highly recommend the online archive of classical Jewish texts to be found on the website “Solitude-Hisbodedus” which can be accessed HERE. You are free to use any of my own text, artwork, images, or music if you acknowledge author and source clearly, subject to these simple conditions.